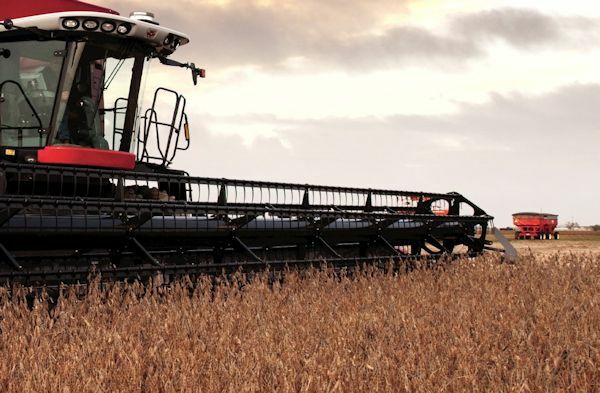 WCCO engineered and patented a fabric technology for its RAPTOR® Draper Belting and it is the only draper in the world that measures up to the increasingly high demands of modern harvest equipment. 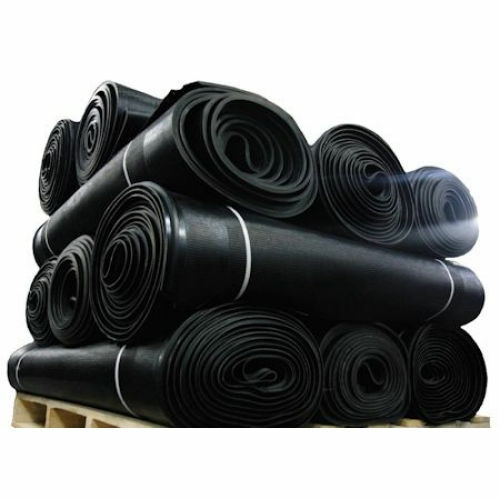 Friction coating is the manufacturing process of pressing raw rubber into the fabric, not adding to its original thickness, for reinforcement. 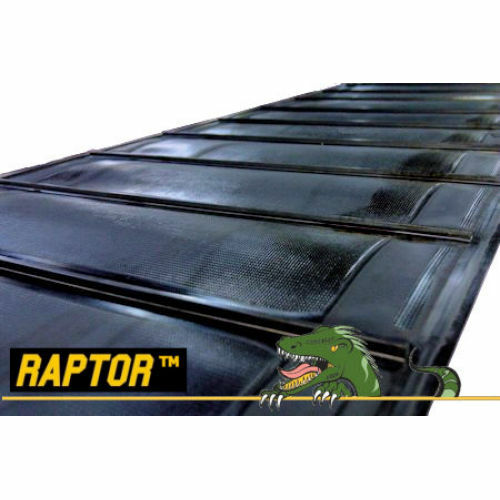 By using a friction coat on the underside of RAPTOR®, the draper weighs less, drags less, and reduces horsepower requirements. RAPTOR® Drapers are made for the farmer who wants to start earlier, stop later, and can’t spare a break in between. 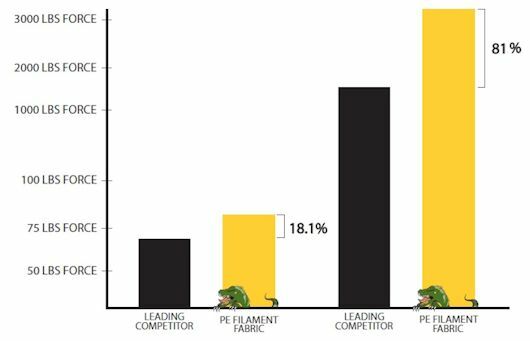 It is the only draper belt in the world that is manufactured with a filament fabric and can withstand 29.5% more stress from stretching and pulling than its closest competitor who uses a spun fabric in its drapers. 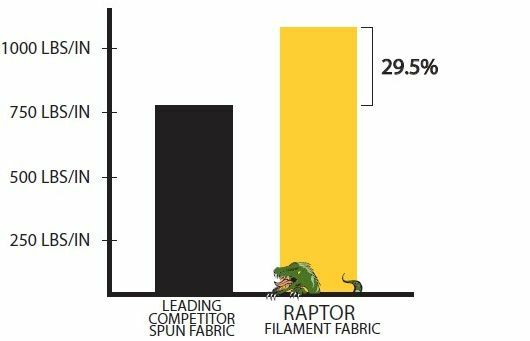 RAPTOR® drapers are also 18.1% higher in tear strength and 81% more durable in puncture resistance than its closest competitor. WCCO drapers also feature a teardrop shaped fiberglass reinforcement rod inside of the cleat for increased belt stiffness, making RAPTOR® significantly stronger than other drapers in its cross direction. 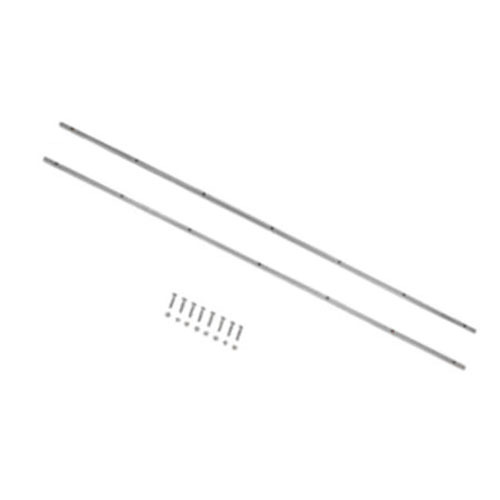 The belt may also include the original equipment manufacturer-specified v-guide on its underside to improve tracking.